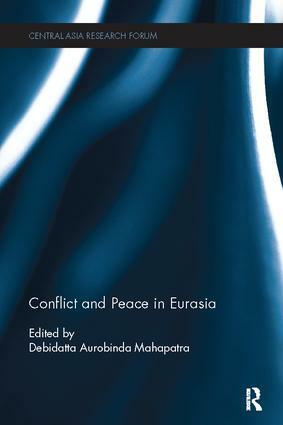 Focusing on a range of Eurasian conflicts, including Nagorno-Karabakh, South Ossetia and Abkhazia, this book offers contemporary perspectives on the ongoing conflicts in the Eurasia, with an emphasis on the attempts towards peace. The book brings into focus how various factors such as ethnicity, religion, border disputes, resources, and animosities inherited from the past play crucial role in these conflicts. It questions whether developments in Eurasia affect other conflicts across the globe, and if differences between parties can be resolved without pulling the relations beyond adjustable limits. The book goes on to look at how tricky the path to peace would be, and furthers the development of a framework of study of Eurasian conflicts in the post-Soviet world, while taking into account both internal and external variables in analyzing these conflicts. It is a useful contribution to Central Asian and Caucasian Politics and Security Studies.